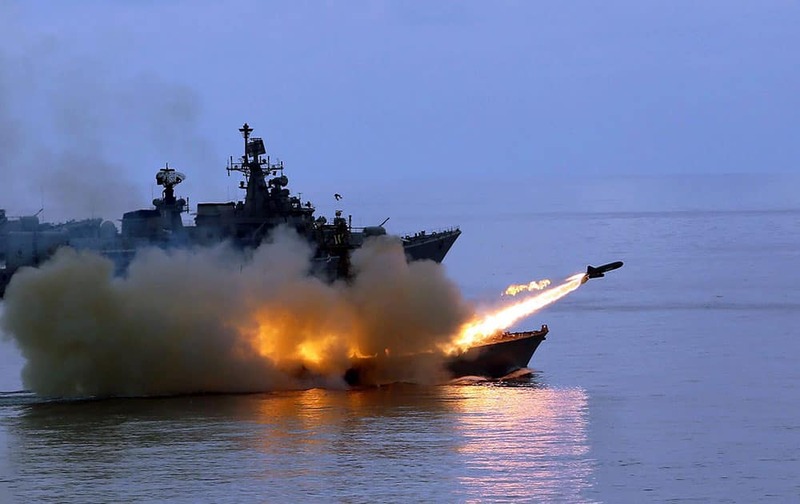 A Surface to Surface Missile (SSM) is fired by INS Nirghat (a missile boat) during the Operational Demonstration before Prime Minister Narendra Modi in Kochi, Kerala. 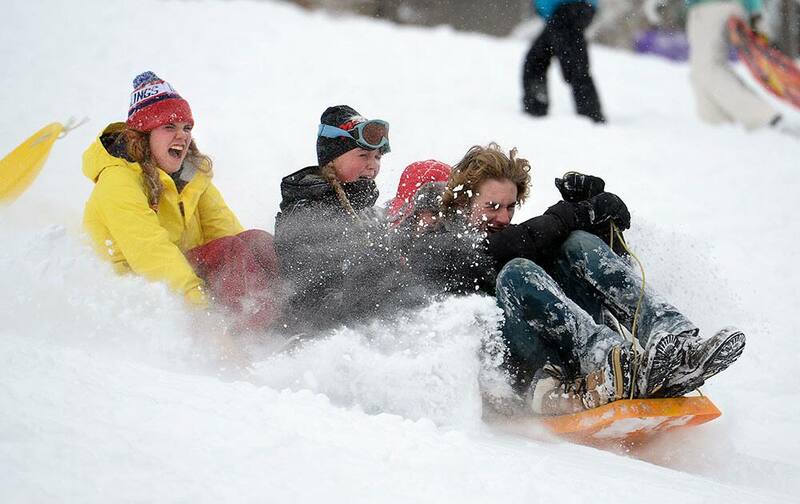 Maddie Werner, left, Abbie Olson, Maya Wilson and Storm Smith take a sleigh ride together in the fresh snow, at Tantra Park in Boulder, Colo.
Sashastra Seema Bal (SSB) Jawans jubilate after the passing out parade at Chandukhedi near Bhopal on Tuesday. 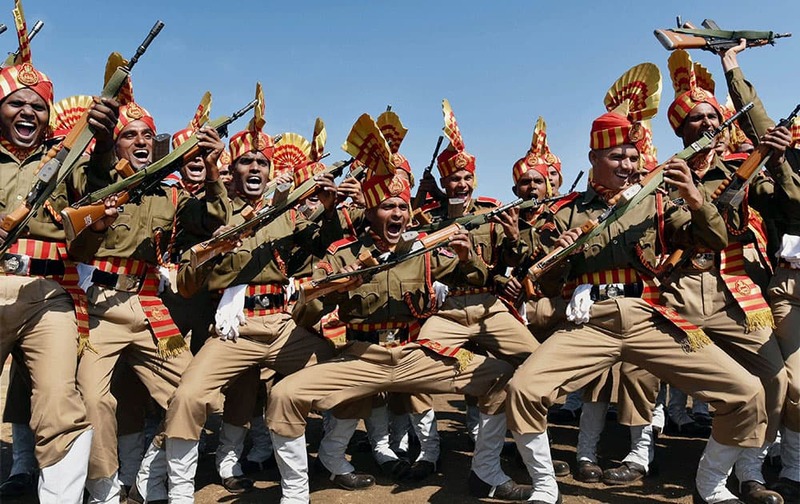 406 jawans from 15 states took part in the 6th Convocation Parade. 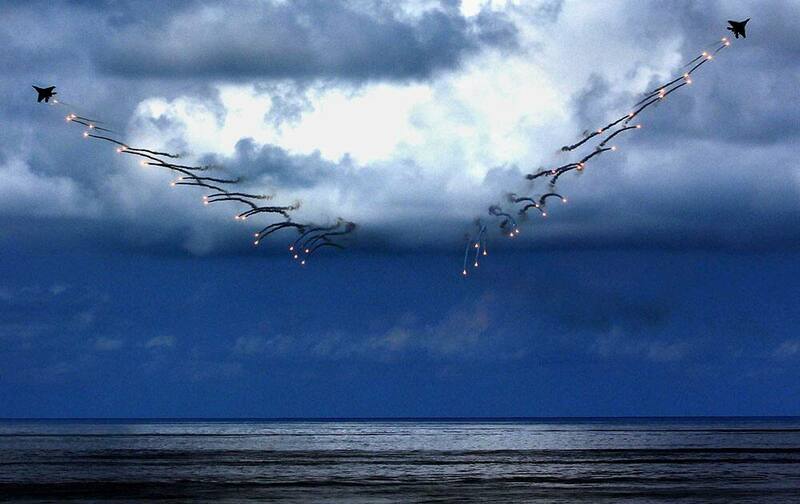 Indian Navy displays its operational might before Prime Minister Narendra Modi during Combined Commanders Conference in Kochi, Kerala. 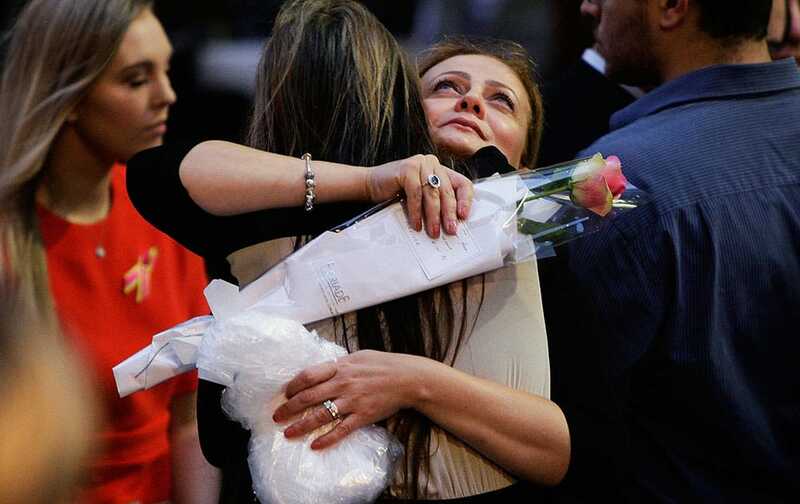 Lindt Cafe siege survivor Marcia Mikhael is embraced during a memorial service marking the first anniversary of Lindt Cafe Siege in Martin Place, Sydney, Australia. 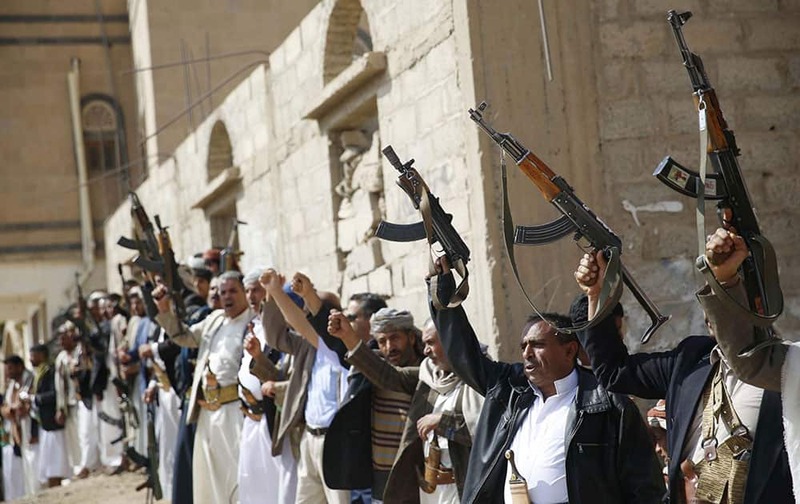 Shiite tribesmen, known as Houthis, hold their weapons as they chant slogans during a tribal gathering showing support for the Houthi movement in Sanaa, Yemen. 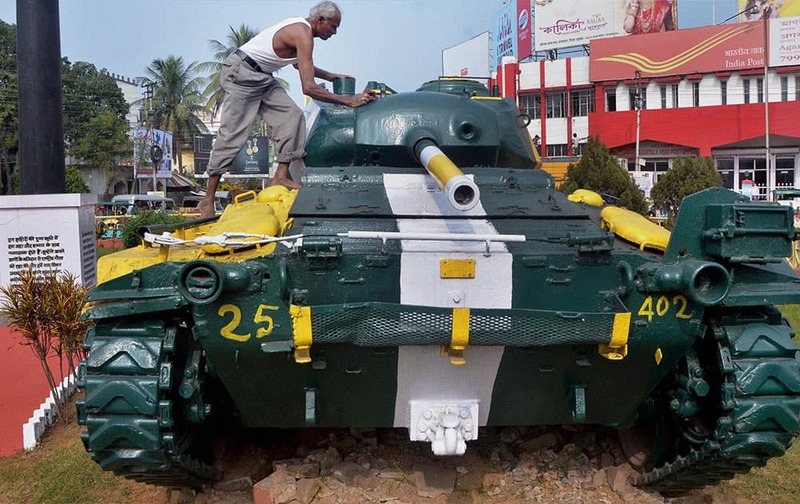 A worker cleaning a tank, captured from the Pakistani army by Indian soldiers in the Bangladesh war of 1971, at Chowmuhani Post office on the eve of Victory Day, in Agartala. 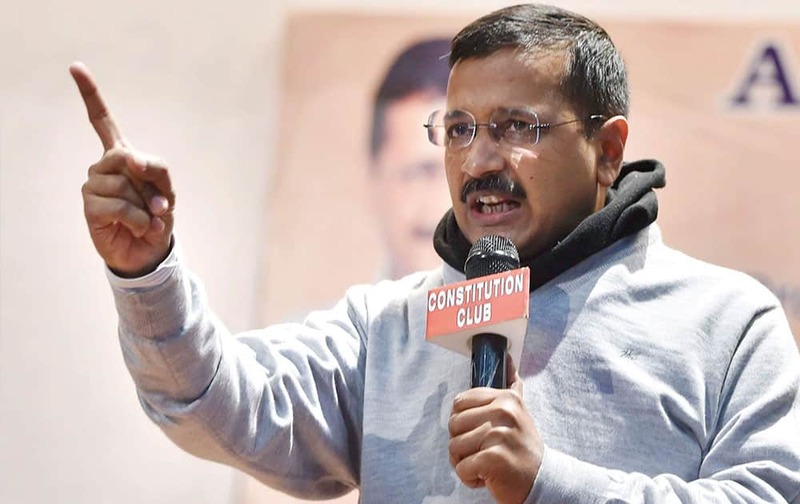 Delhi Chief Minister Arvind Kejriwal addresses during the AAP trade wings business summit Rendezvous in New Delhi. 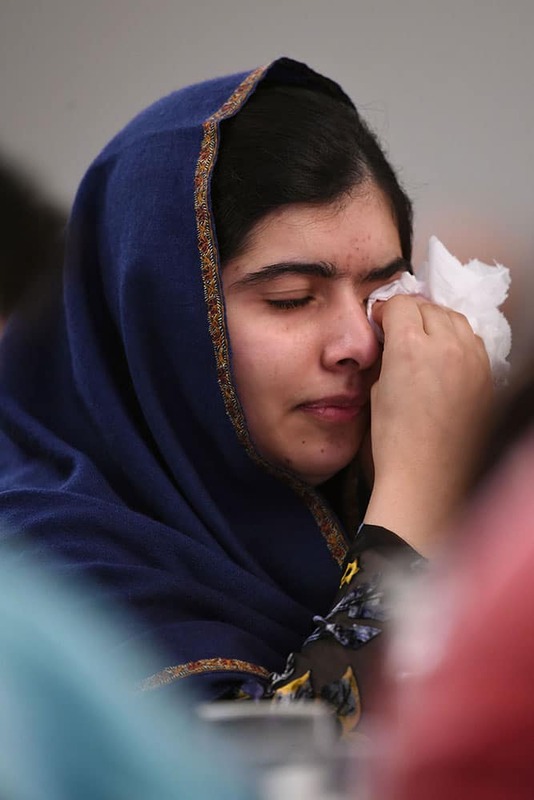 Nobel Prize winner Malala Yousafzai wipes away tears as she listens to eye witness accounts of the Taliban attack on the Army Public School in Peshawar, Pakistan, which took place on Dec. 16, 2014, and killed 150 people, as she attends the Poppies for Peace in Peshawar event in Birmingham, central England. 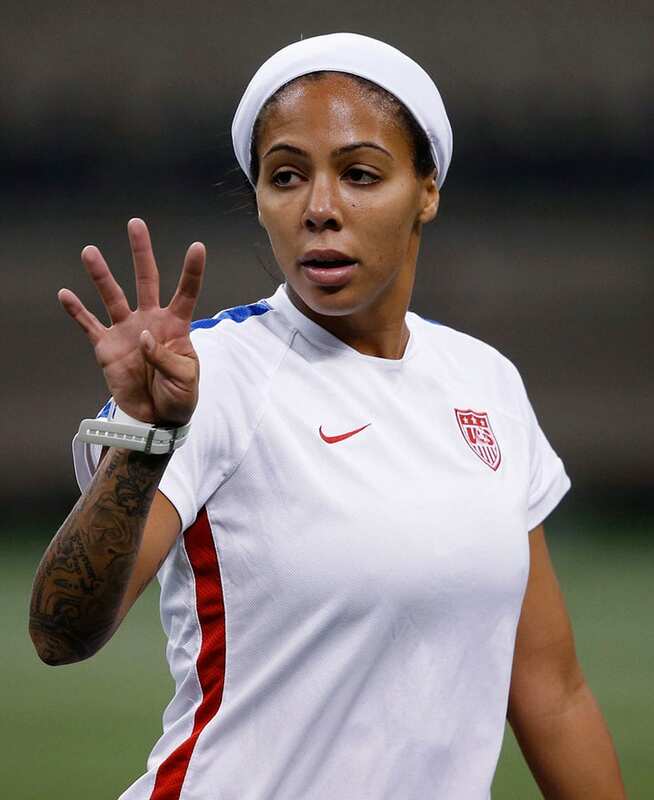 U.S. forward Sydney Leroux reacts during a practice session for the team's final victory tour match, against China, in New Orleans.